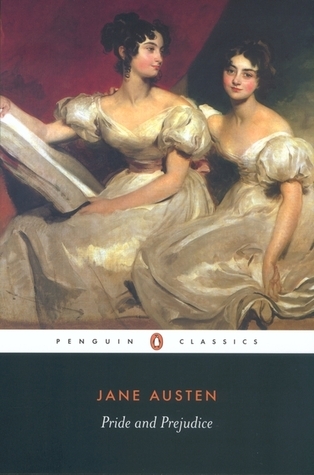 It is a truth universally acknowledged, that a reader would find that books worth reading are worth reading twice and Jane Austen’s Pride and Prejudice is definitely one of them. Pride and Prejudice is actually the first classic book I’ve ever read from cover to cover. Since I’m not used to reading classics back then, it took me ages before I get the hang of the story and eventually finish it. Nevertheless, I was able to appreciate the story and it instantly became my favorite. Well, who would not fall in love with the story of Lizzie and Mr. Darcy? Three years later, this book was chosen as the featured book for the October face-to-face discussion of my book club. So, I decided to read it again since I wasn’t able to retain most of the details of the story in my memory. It was worth reading twice indeed for I find it sweeter the second time around. For some weird reason, I am really a fan of love-hate story and it was only when I read this book the second time that I realized that this is the best love-hate story I’ve read so far. It was also when I read it again that I was able to appreciate more the care-free character of Elizabeth Bennet, the snob-outside-but-soft-inside character of Mr. Darcy, the annoying character of Mrs. Bennet and the cool father character of Mr. Bennet. Pride and Prejudice is truly an enduring classic so no wonder it became one of the most popular books in English literature and inspired most of the novels of today and became the favorite subject for film and tv adaptations.